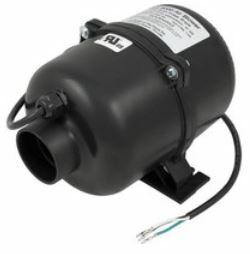 Ordering a replacement hot tub pump online is easy if you know a few things about the existing pump. First, you will get free shipping on most pumps (they can be expensive to ship because they are heavy). To order a pump, check the label on the existing pump. Is the pump 1 or 2 speed? Is it 48 frame or 56 frame? What is the voltage? 120v or 230v? What are the connection sizes 1 1/2″, 2″, 2 1/2″? Will the wet end orientation line up with your existing plumbing? Most wet ends on through-bolt type pumps can be rotated in 90 degree increments in case you need to line it up once you receive the replacement pump. If you know the brand and model, you can replace it with same or newest model. But there are many compatible pumps with existing brands as long as the specifications are right. Check the amperage ratings for low and high speed on the pump label. If the amp draw is similar on the replacement pump and the other specs match, then it may be a good match. 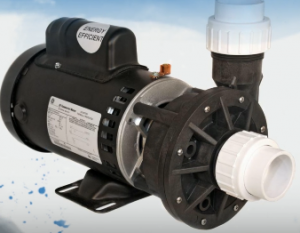 Hot tub pumps are made by several different manufacturers including Waterway, Aqua-Flo/Gecko, Pentair and others. Note that some outfits may send you a cheap motor with a brand name wet end, so be sure to shop at reputable online retailers such as Hot Tub Outpost. When you see a Waterway pump, you know you will be getting the correct replacement model and not some puzzled together pump parts. If you really need to save money, HTO also offers off-brand name pumps, but then you will be able to read about it in the description. 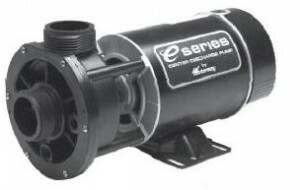 Besides main 1 and 2 speed pumps, you can also get circulation pumps online. These are the 24 hour circ pumps that keep the water flowing 24/7. They are made by Laing, Gecko and others. Need just the wet end or impeller, you can buy spa pump parts online too. If you don’t see the pump you need, ask! There are thousands of them and the big outfits can get you most any part. 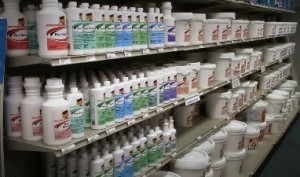 Save time and money getting replacement spa parts online and get free shipping too! Pay no tax on online purchases too depending on what state you are in. Spend less time running around and more time enjoying your hot tub.